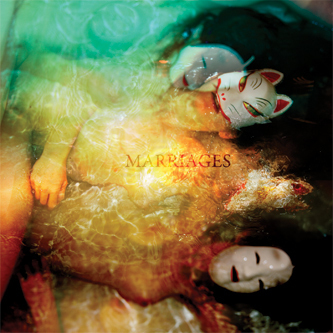 Modern shoegazing effort from Red Sparowes extra-curricular unit, Marriages. Their debut album 'Kitsune' lands in good company on Sargent House amongst the likes of Hella and Boris, with whom they share a firm grasp of epic post-rock structures and feel for emotive impact and drama. Heck we could even almost mistake Emma Rundle's muffled vocals for Japanese at times, while the gnarled shredding and banking walls of feedback are certainly up there with Boris' recent epics. At just under half an hour though, we reckon some of you will have to give it a couple of back-to-back spins to get your full kicks out it.